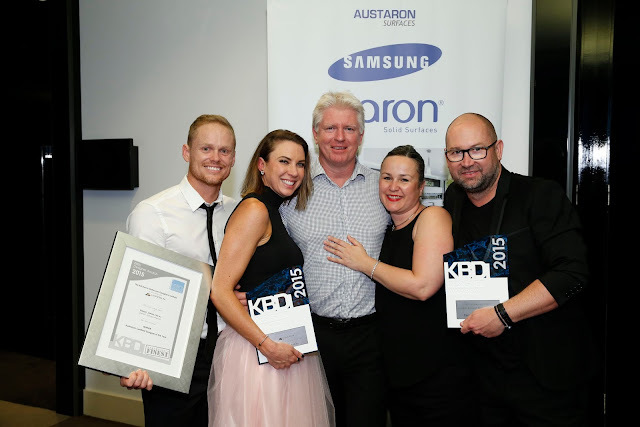 Minosa has taken out all NSW State awards at this years Gala Kitchen and Bathroom event in Cairns with the KBDi. The KBDi recognises design excellence in the kitchen and bathroom fields. 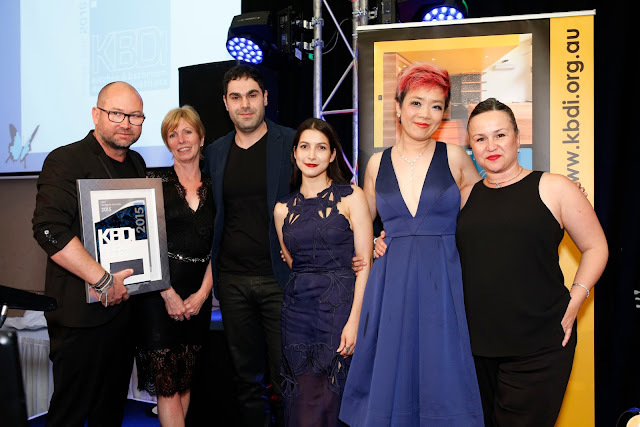 Sydney designers, Simona Castagna & Darren Genner of Minosa (www.minosadesign.com), have a lot to be celebrating. Simona has been awarded the title of KBDi Kitchen Designer of the Year 2015 – NSW & Darren has been awarded the KBDi Bathroom Designer of the Year 2015 – NSW at a spectacular gala event on Saturday night (29 August). 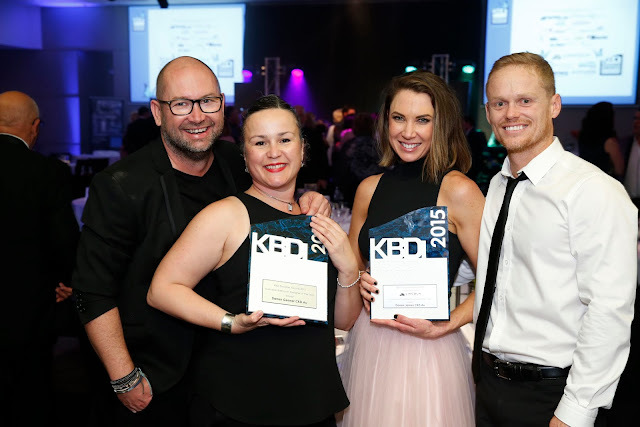 Australia’s finest kitchen and bathroom designers enjoyed an evening of celebration in the tropical surrounds of the Hilton Cairns, where the Kitchen and Bathroom Designers Institute (KBDi) recognised the incredible talent of our nation’s design professionals. 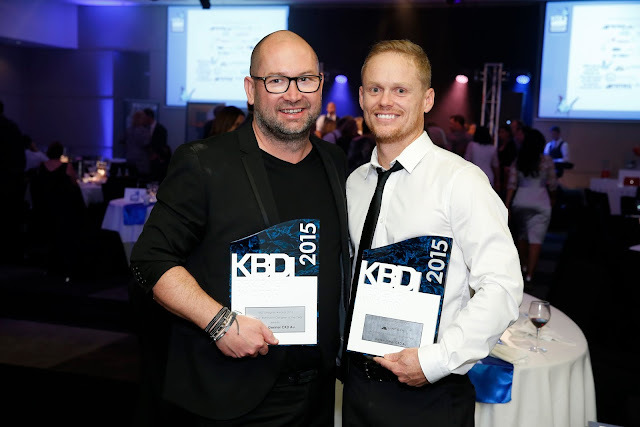 The KBDi 2015 kitchen awards were proudly sponsored by the Institute’s Diamond sponsor, Cabinet Makers Insurance Brokers. Simona made her way to the stage early in the evening, collecting the award for Designer – Large Kitchens NSW. 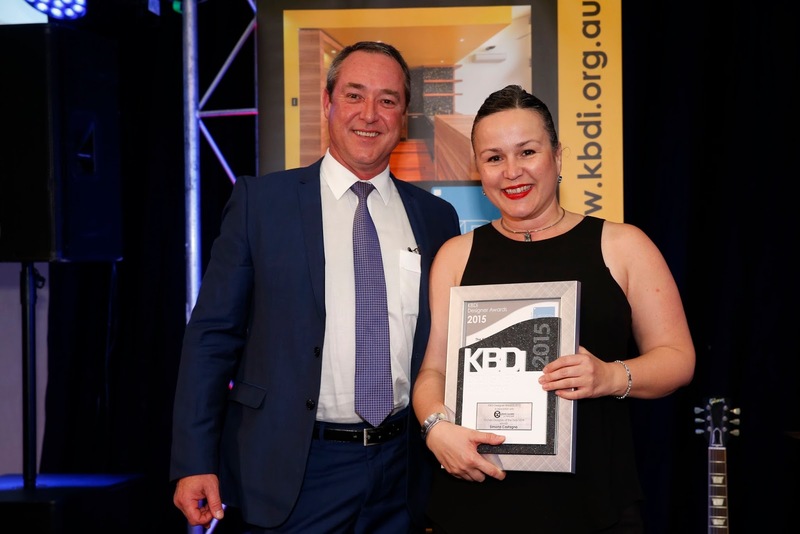 Her stylish kitchen design impressed the judges immensely, and went on to secure her the sought-after title of KBDi Kitchen Designer of the Year 2015 – NSW. 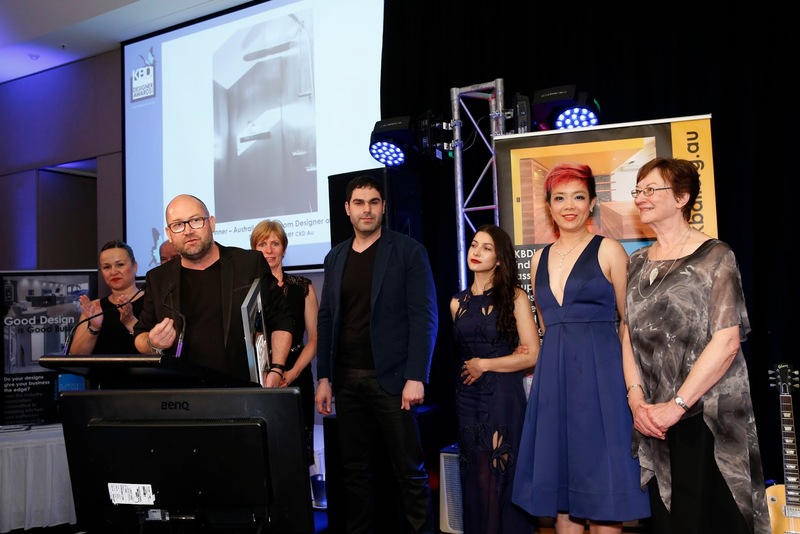 About Simona’s winning project: Careful space planning has allowed the designer to incorporate all the appliances required by an enthusiastic gourmet cook, with plenty of room for family and friends to join in or just hang about. Ample storage space meets the client’s brief, and an inclusive office area ensures the client’s working holidays are easily accommodated. The well-planned space is finished beautifully too: a concrete-look acrylic benchtop and crafted joinery detail inspired by packing pallets play on an industrial theme, while the addition of pastel colours pays homage to the fun, relaxed feel of this holiday home. Darren collected a swag of awards at last year’s ceremony, and he continued his winning streak in 2015 by taking out a total of six awards! 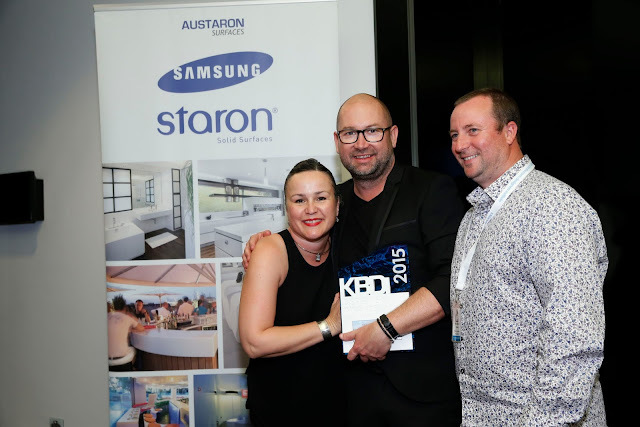 The first of the evening were accolades for kitchen design, with his entries successfully winning him category awards for Designer – Small Kitchens NSW and Designer – Medium Kitchens NSW. Darren’s biggest scoop came in the area of bathroom design, with a clean sweep of chapter wins for Designer – Small Bathrooms NSW, Designer – Large Bathrooms NSW, and KBDi Bathroom Designer of the Year 2015 – NSW. 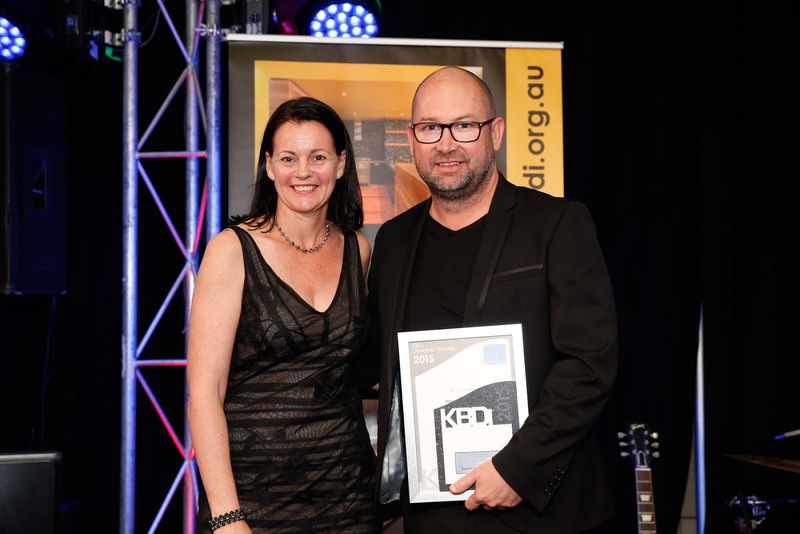 Darren’s entry in the small bathroom category then went on to secure him the coveted title of KBDi Australian Bathroom Designer of the Year for the third year running. This award will once again see Darren taking his place on the KBDi Designers International Tour in 2016 which will include entry to the renowned international design fair, Salone del Mobile (including EuroCucina), in Milan. About Darren’s winning project: It is often said that ‘design is in the detail’, and this designer has brought this phrase to life with the design of this beautiful bathroom. 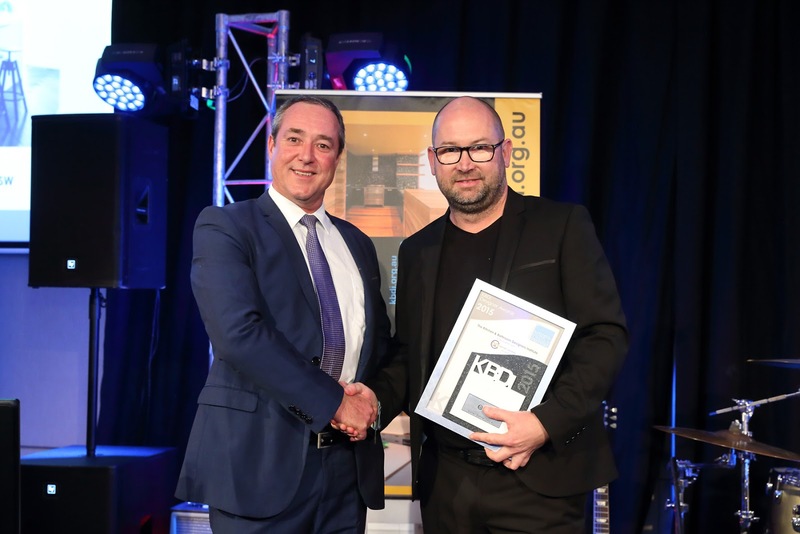 The judges were most impressed with the consideration given to this design: from the exceptional space planning that made the most of a meagre space to the scrupulous specification of materials, fixtures and fittings, the designer’s attention to detail was clear. 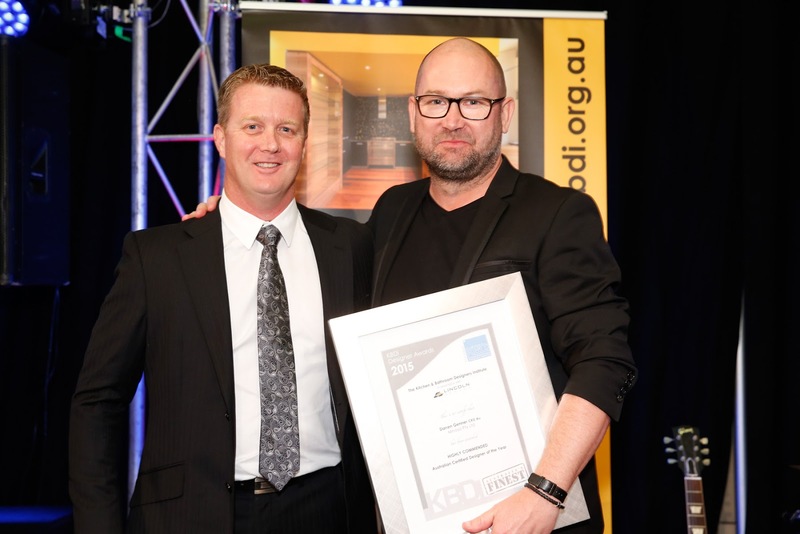 An obvious understanding of the elements and principles of design has allowed the designer to visually expand this very small space, and an appreciation of the value of light adds the ethereal qualities that make it a stand out winner. 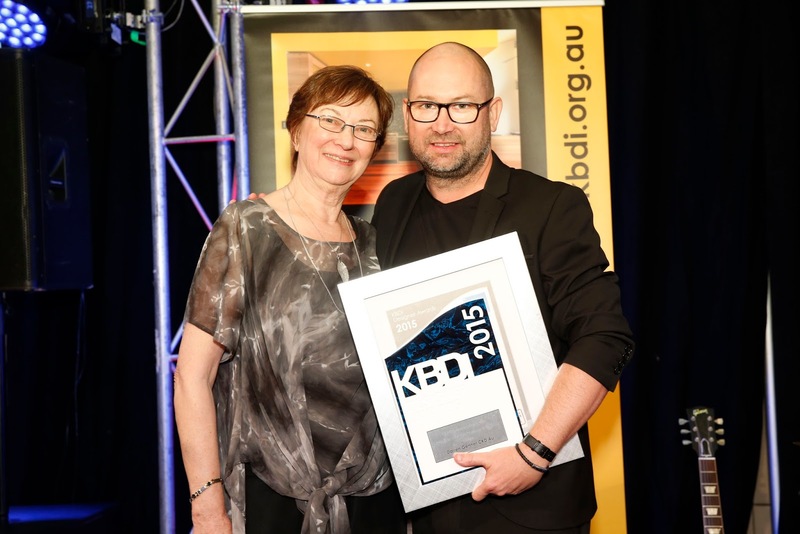 The KBDi national designer awards program for 2015 is sponsored by Lincoln Sentry, Cabinet Makers Insurance Brokers, KBDi Designers International Tour 2016, Smeg Australia, Universal Magazines - Kitchen and Bathroom Quarterly and Austaron Surfaces.